Is the Zepeto App Safe for Kids? 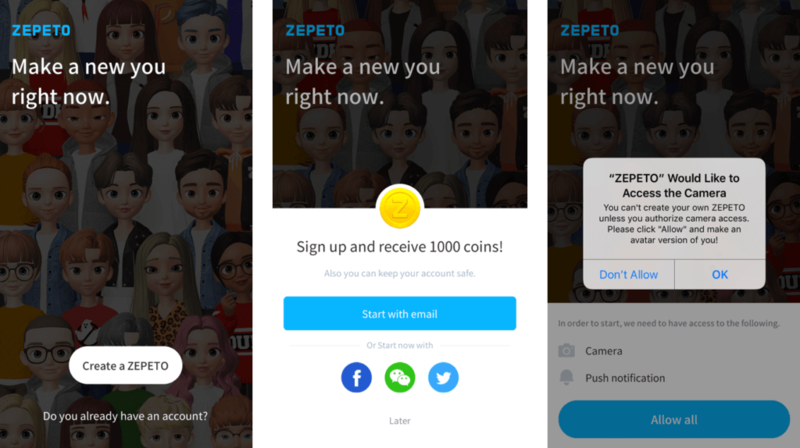 What is the Zepeto App? This app has been popular in Asia and is now coming to the states. Zepeto is an app that lets you create a 3D animated version of yourself to use in in-app chatrooms. You take a picture of yourself and it’ll create a personalized character for you (that you can also edit). You can ‘meet’ other Zepeto characters on the ‘Zepeto street’, play games and take pictures with other Zepeto characters. The app is owned by Naver Corporation, the South Korean internet search giant. The company also owns SNOW, which is Asia’s version of Snapchat. What do parents need to know about Zepeto? It’s social media. It would be easy to miss this attribute, because it’s not real people with real pictures interacting with each other. When the interactions occur between animated versions of real people, it seems more like a game than social media (with chat). It’s growing quickly. It boasts over 10 million users. In-app purchases are important. By competing in certain in-app contests with your avatar, users earn coins or can flat out purchase coins that can be used to unlock different dance moves, clothing, etc. Does it spy on users? Around Thanksgiving 2018, a Twitter-fed rumor claimed that the app used artificial intelligence to track its users and that certain members were hearing strange noises on their phone’s microphone which fed the hysteria. These claims have been dismissed in recent days (although the app does require use of the camera and microphone). Are there hidden browser doorways? None that we could find. Links in the settings launched Safari outside of the app, which is what we prefer. At least there you can set Content Restrictions in Screen Time. Zepeto bottom line – is it safe for your kid? Due to COPPA, the social media classification indicates that kids need to be 13 in order to use this. As you can see from the risk factors above, there aren’t many so if you’re going to allow a middle school child use it, just be sure to make them aware of “tricky people” – the new stranger danger in the digital age, in case a 3D avatar they don’t know is “too” friendly.